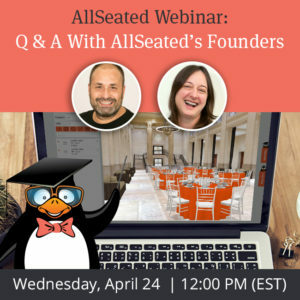 We are thrilled to have our close friend, AllSeated Advisory Board member, and co-founder of Feastivities Events, Meryl Snow, here to today to talk to us about 7 facts to know before hiring a caterer. Thanks Meryl!! Couples today are food savvy. They dine out regularly at chic bistros and BYOBs rather than settling for the local chain restaurant. Fresh food, creative menus and plate presentation are important to them. And these high standards get even higher on their wedding day. The thought that their wedding food might be frozen would send them running. Most caterers realize this, which is why few will admit to using frozen products. Instead when asked, they say their food is fresh and yes, at some point it was fresh. Right before it was frozen. Is there anyway to tell if you’re getting a straight answer? One way is to consider the bottom line. Most caterers in an area use the same vendors and purveyors, so in general, the cost of purchasing the raw products is the same. Ask the caterers you are considering to bid on identical menus and give you the price of the menu alone (without rentals, linens etc.) If there is a big difference in cost for the same menu it should raise a flag. How can caterer A charge $65.00 a person when caterer B charges $80.00? If nothing else has been factored in then it has to be in the food itself. Is caterer A buying cheaper cuts of meat, old produce or seafood that is a day away from being bait? Scary, but possible. It’s much more likely that the $15.00 represents the difference between paying trained chefs to actually prepare your meal from scratch with fresh ingredients rather than having a body tearing open boxes. It may seem on the surface that you’re really getting a deal but in reality you are getting what you paid for – frozen food. Your meal should be prepared from scratch by chefs, just for your event. Your hors d’oeuvre made by hand, not machine. This is the difference between green beans that are bright green and snappy and green beans that are dull olive and mushy. Some caterers don’t have the trained kitchen personnel to actually cook the meal at the reception. Instead your food is thawed and cooked at the caterer’s kitchen early in the day, put into hot boxes and then brought to the reception. The cooked food sits trapped in its own steam for hours before it’s ever served. We’ve all had food from a steam table. Once in a while you have to. But at your wedding? The fresh ingredients for your meal should be prepped at the caterer’s commissary. They should make the stock, clean the fresh vegetables, and trim the fresh seafood. They should do everything but cook it, because we know that the finest food goes from stove to plate not from hotbox to plate. If you want the food served fresh this is how it has to be done. You’ve taken the time, allotted the budget and selected a wonderful menu so now you need to ask how many staff your caterer will provide to serve it. Nothing is more frustrating than having to hunt for hors d’oeuvre or wait in line for a drink. Service can make or break your reception. Lack of adequate staff is very obvious to the guests and will undo all your careful planning. Be wary if a caterer plans to send 5 staff to attend to 200 guests! Call me crazy but I don’t want to have to look for waiters in order to eat. I want them to look for me. Which brings me to staff quality. It’s important that staff is well-trained. Ask the caterer about their training sessions and manuals. Your staff should be service oriented, pleasant and attentive because your guests should never feel as if their needs are an imposition. Some couples come to a caterer with definite menu ideas but far more come wanting the planner to take the reins. And justifiably so. 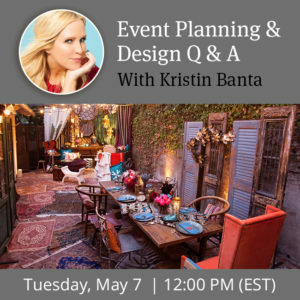 Your caterer’s event planners should be well versed in menu design but if you want to be more prepared for the menu meeting think about some of the following. What kind of crowd is it? Are they younger and more receptive to many cuisines? Is it more the parents set who prefer familiar but at the same time fine dining? “Meat and potatoes” is used to describe guests who prefer plain. 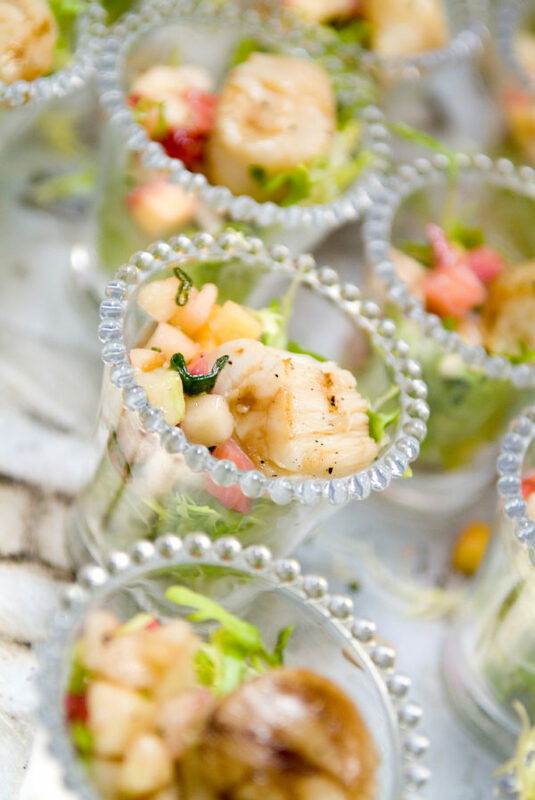 Keep in mind that the hors d’oeuvres also contribute to the scope of the menu so if your budget doesn’t allow for a raw bar it probably does allow for butlered shrimp during the cocktail hour. When you have finally chosen the menu have the executive chef review it. Often he or she will be able to make welcome suggestions – a seasonal vegetable, a more complementary sauce, a striking garnish. How long did you wait for your information after you made your initial phone call? Was it the information you asked for? Are your calls and emails answered in a timely manner? Do you feel important? In a time when you pump your own gas, find it for yourself in the store and wait in line or on hold daily, service seems a thing of the past. In terms of customer service the good old days really were better and it’s this old-fashioned customer service that you want from your caterer. Planning a wedding is a big job and you should have your catering planner’s attention when you need it. In addition to your planner’s attention you should also have the attention of their whole office team so if your planner is out of the office another planner can field your questions. And while you most likely will work closely with just one person, your planner should have a support system behind them. The unexpected can happen – a planner can leave, have an emergency etc. If this happens what happens to you and your wedding? 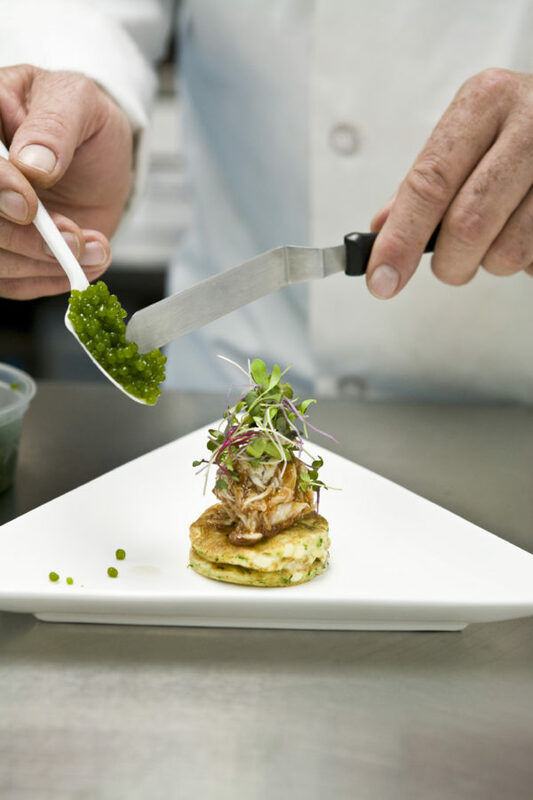 If your caterer has a team approach the show will go on without a hitch. What is your caterer’s reputation? Look at the list of caterers for the venues you are considering. If you see the same names at many up market locations chances are those caterers are doing something right. An exclusive facility has its own reputation to uphold so the caliber of the caterers on its’ list has to be high. Don’t hesitate to question the facility directors. 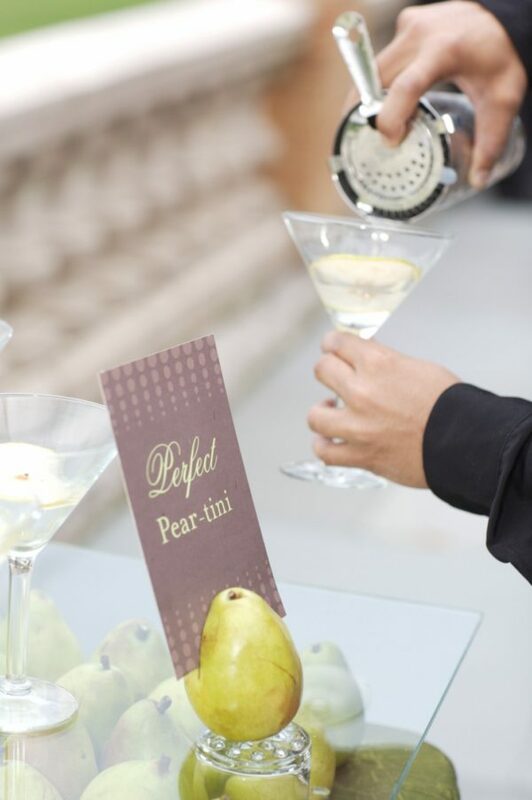 They have a real sense of the caterers’ abilities so their input can be very valuable. They have seen it all – multiple times. With just a little guidance from you the director can often hone right in on the caterer’s that will make a fit with you. Between work, school and everything else on your plate who has the time or inclination to interview 8 caterers? It’s much better to eliminate the 5 or 6 that aren’t likely to be what you want, right from the start. Most places have short lists so the weeding out has already been done for you. But some facilities that have ties to local townships have to have an open door policy. Their directors are also required to “be fair.” With them you might have to probe a little longer. “Who do you use for your own events?” is a good question. With access to so many caterers they themselves use is probably at the top of the list. Industry pros also have a good sense of who’s who and who’s doing what in the wedding world. Speak with the bands, florists and photographers you are considering. They are at events from start to finish. They see the service, eat the food, interact with the staff and won’t hesitate to share their thoughts. Remember though, that perfection doesn’t exist in the real world. Servers do drop plates sometimes, musicians hit sour notes, photographers take blurry pictures, and limousines get flats. Look for a caterer who gets high marks time after time, year after year. In the end this consistent commitment to quality will give you a great catering experience. Meryl Snow is a member of AllSeated’s Advisory Board. 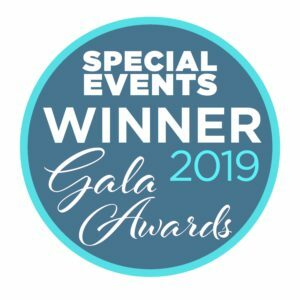 She has been a mainstay in the special events & catering industry for the last twenty-nine years as cofounder of Feastivities Events, along with its subsidiaries OffShoots Decor and Philadelphia’s Picnic Company. Her philosophies have proved successful for not only her own business, but also many other companies, trade organizations and universities have benefited from her training and advice.